Ecological is the new economical! 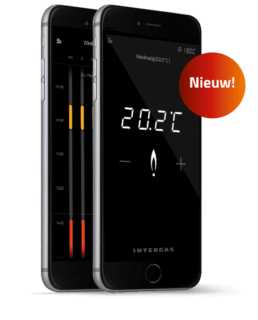 Intergas is a pioneer in the field of high-efficiency boiler technology and, for more than twenty years, Intergas has been focusing on perfecting its HE boilers. 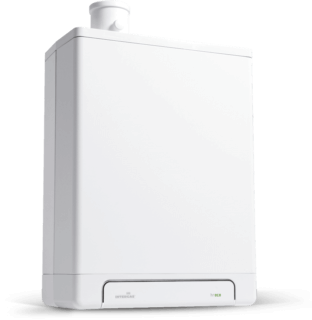 Our Combi Compact HR remains our best-selling HE boiler in the Netherlands and its unique double-HE technology, a breakthrough at the time, still forms the basis for our current generation of HE boilers – the Combi Compact HReco. Our Combi Compact HReco is a leader in the Netherlands in terms of annual tap efficiency. Its hot water tap efficiency is rated at over 101%, ensuring energy-efficient use every time you run hot water. We’ve used only the highest-quality components in our Combi Compact HReco – all selected for their efficiency and durability. This has resulted in an extremely economical and unrivalled HE boiler. Combi Compact HReco uses a unique dual, aluminium, two-in-one heat exchanger. Its patented design ensures minimal heat loss and optimal heat transfer. Both central heating water and cold tap water pass directly through the heat exchanger cooling the flue gases and recovering as much heat as possible for reuse. This technology does away with the need for a three-way valve.